West Coast Amusements has a variety of games and rides for the whole family. Bring your skill and check your accuracy, our games test your abilities to shoot, pin, throw and more. Some of our concession games give a prize every time. Prove you have what it takes to win the biggest prizes at the show, and gain some bragging rights in the process. 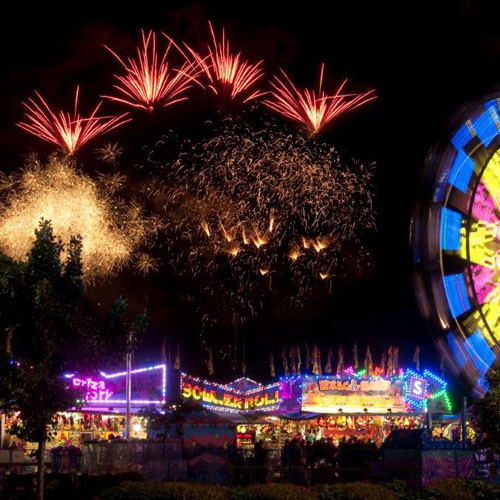 The Art of Lights will be joining this year’s Cloverdale Rodeo & Country Fair. This will be a preview for what’s to come with this year’s Art of Lights. 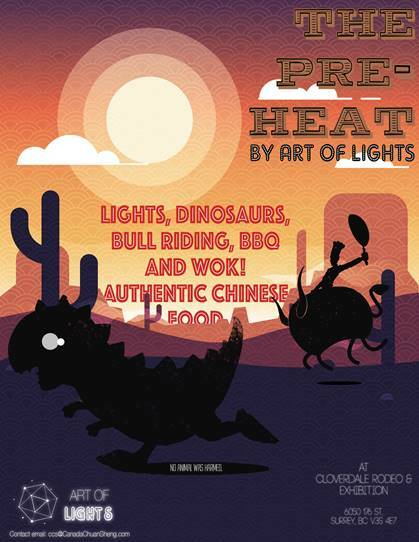 There will be lights, dinosaurs, and bull riding and more! 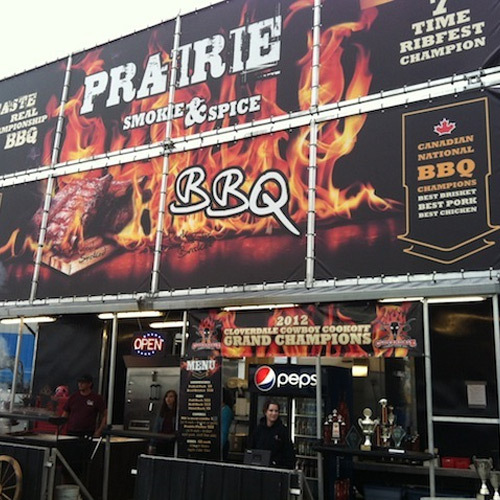 It features a variety of Chinese foods loved by all such as; fried rice, fried noodles and delicate snacks; potato tower, egg waffle, BBQ, etc., and lets you taste a different and diverse rodeo in these four days. Get a taste of what the future Art of Lights has to offer: food, amusement, performance, and beautiful lanterns. It will be a completely different experience. Performing since 1982 in many different parts of the world, the West Coast Lumberjack Show is always a crowd pleaser. 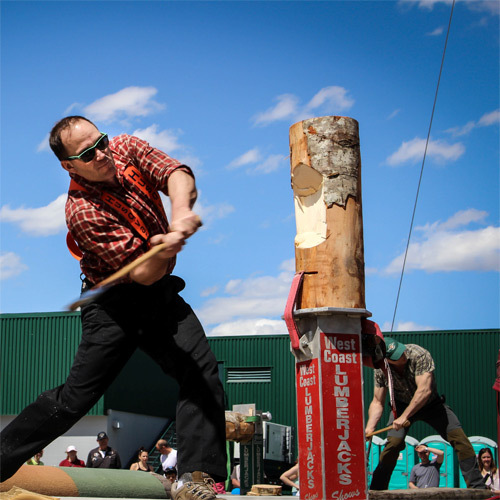 Jam-packed full with tons of action such as the chair carve, hot saw race, axe throwing, log rolling, standing block chop and more, this non-stop show is fun for the whole family and is sure to leave you entertained. 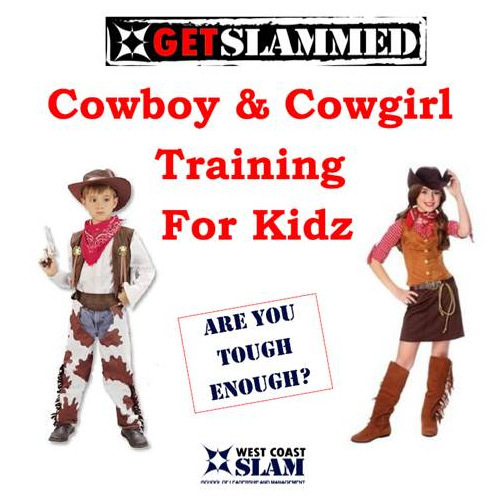 ‘Skully’ the bad cowboy has been causing trouble and only the best trained cowboys and cowgirls can beat him. With their sheet they will work through the various training challenges getting them ticked off when complete and then they can enter them to win prizes each day with one ultimate prize being awarded at the end. The Operation Family Identification (OFI) program is designed to give parents a permanent record of their child’s photo, fingerprints, weight and height, in a convenient, readily accessible package that can be used in the event of an emergency. Operation Family Identification is a community project sponsored by London Drugs with the participation of community volunteers and law enforcement officials, and is at no charge to parents. In its fourth year at Cloverdale Rodeo, The West Fine Art Show presents 18 of the finest artists in western Canada. “Remembering Jeff Robinson” display about son of Red and Carole Robinson, remembered for his battle with Crohn’s Disease. 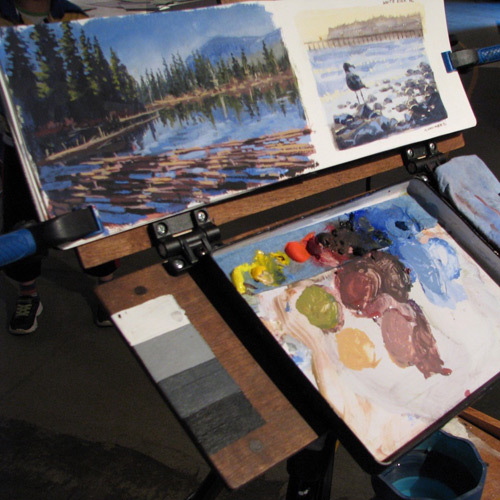 “Emerging Young Artists” a display of art by students at Lord Tweedsmuir Secondary. Children’s Art Table for youngsters while parents enjoy the art. $2 Art Raffle will send all proceeds to charities. 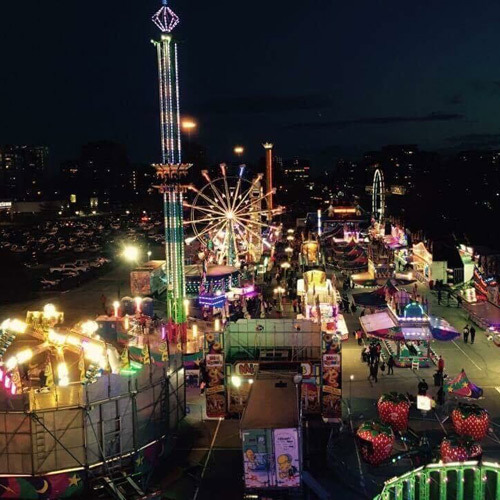 For 130 years, the Cloverdale Rodeo & Country Fair’s Agri Zone has consistently ranked as one of the event’s most popular attractions. 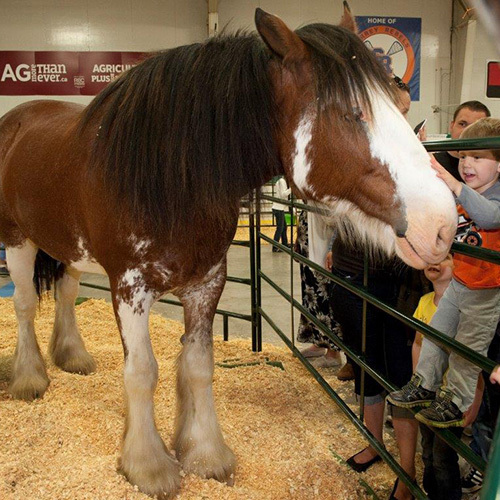 Located in the ground’s ice rink complex, the Agri Zone has everything form cow-milking demonstrations to a long list of farm animals. RAM test drivers get ready. 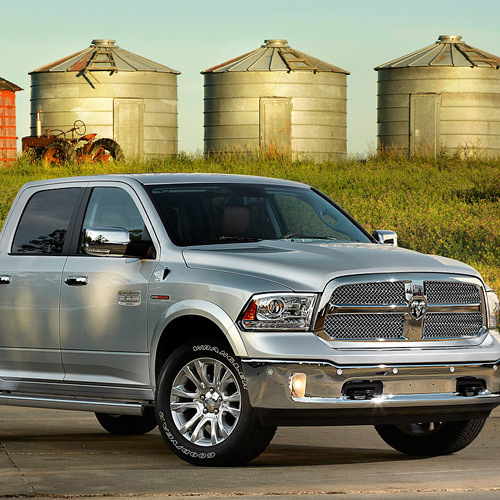 The tour is now a feature at the Cloverdale Rodeo for any driver who wants to experience the latest RAM truck models that are designed to meet or exceed the challenges of today’s driving conditions. RAM drivers can sign up for the See it, Want it, Win It contest for a chance to win a RAM truck or the FCA vehicle of their choice. Learn to drive a hobby-grade RC car with the gang from Outlaw RC. Experience the thrill of side by side RC action with the Traxxas Slash Short Course trucks. Definitely kid friendly! Adults will also appreciate the challenge. 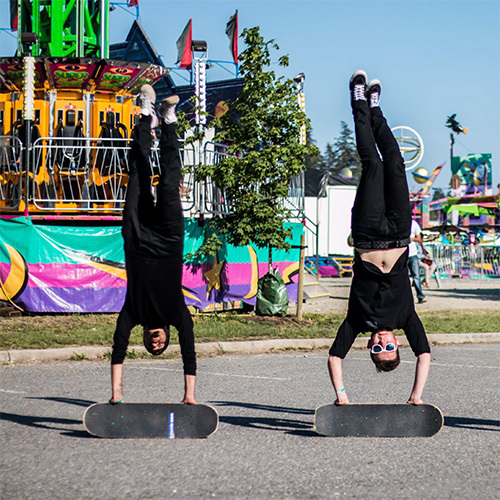 Come watch the world’s top professional and amateur freestyle skateboarders compete for $10,000 in prize money taking place inside the Cloverdale Curling Rink within the Cloverdale Fairgrounds. 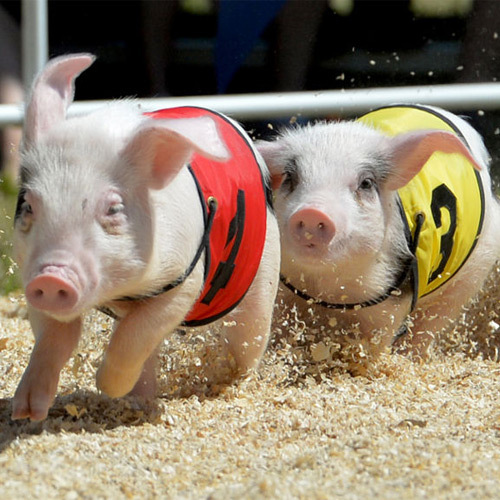 Come out and cheer on your favorite pig. They are located next to the AgriZone. One Night Only – Friday, May 17th, 2018 – starts at 9:30pm. 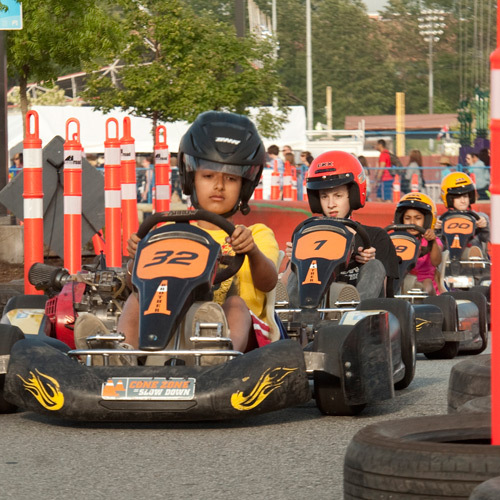 Located outside the Kids Zone, youth can drive go-karts around a track, with traffic markings, hazards and other drivers. Gain valuable safe-driving knowledge!